Capt. R.T. TURNER-HUGHES, 3 SS Bn. 2/Lieut. O.S. HARE, 1 SS Bn. 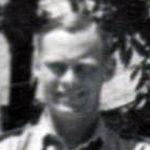 Major Anders Frederick Emil V. Schau LASSEN,V.C., attd from the S.B.S. Cpl. E. ROBERTS, , attd from the S.B.S. Tpr. A.J. CROUCH, attd from the S.B.S. Fus. S.R. HUGHES, M.M., attd from the S.B.S. Mne. J.N. STOCKWELL, 3 Bde. Sigs. C.Q.M.S. J. MASON, 52nd Regt. Reconnaissance Corps, R.A.C. Cpl. R.A. BENTLEY, Royal Marines. Pte. A.G. MARTIN, 1st Bn. Gloucestershire Regt. Tel. R.A. PICKERING, Royal Navy. Service in a Commando has not been established for those soldiers listed below. Notes: Prior to the establishment of the Commando Basic Training Centre (CBTC), from 1940 training was done on a Unit basis. Some later attended the CBTC for further training already confirmed as Commandos. 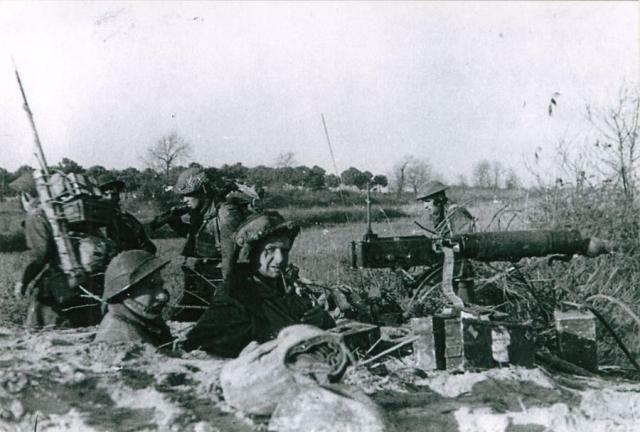 In 1943 some RM Battalions were simply redesignated as RM Commando units prior to their Commando training. Therefore a few who died in training at Achnacarry are shown on their Unit ROH. Additionally units other than Commandos trained at Achnacarry on occasions, so their names will be on their Regimental ROH. If not listed here check the Roll of Honour [View] and Archive links below. and all ranks who served in the Special Service Brigades, and have since passed on in the passage of time, who are also remembered by their proud families and comrades. Fusilier Ernest Ainsley, No. 5 Independent Company, died during operations in Norway as part of Scissors Force. Private William Bath, No. 2 Independent Company, died during operations in Norway as part of Scissors Force. Corporal Ronald Bentley, Royal Marines, died from a head injury which occurred in the UK. Signalman Arthur Burns, Brigade Signals 2 Section, died in a road traffic collision along with two others. The exact circumstances of the death of Marine George Butler are not known to this archive. He is listed on both the Westminster Abbey ROH and on the CWGC database Grave Registration Report (Finals) as 4 Special Service Brigade HQ. 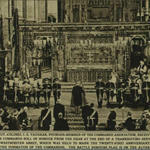 The Westminster Abbey ROH database additionally states killed in action. Rifleman Alexander Chisholm, No. 1 Independent Company, died during operations in Norway as part of Scissors Force. Rifleman Herbert Cook, aged 18, died at the Commando Basic Training Centre. His death is recorded as by '"shell round (mortar) of head while on service training." He was "seen after death by Capt. J.H. Lance Corporal Alex Cowieson, No. 1 Independent Company, died during operations in Norway as part of Scissors Force. 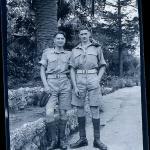 Read more about COWIESON, Alex, G.
Private Kenneth Drysdale drowned at Mucomir, Gairlochy, whislt serving at Achnacarry. A newspaper report shows that he died along with another soldier, Pte Charles Sweeney aged 26 from Stoke on Trent, whilst fishing from a boat with 15 yr old John McKay, the son of a water baliff from Kilmonivaig. The report states that it appears they lost an oar whilst manoeuvring the boat into a suitable spot near Mucomir Falls on the River Lochy and got carried away into the swirling water. Read more about DRYSDALE, Kenneth J.H. Gunner Roy Flavell, No. 5 Independent Company, died during operations in Norway as part of Scissors Force. Second Lieutenant Owen Hare, 1st Special Service Bn., was killed during training at STC Lochailort. 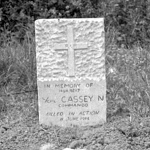 His death is recorded as "mountaineering accident " with the informant being Padre Basil Pitt, Army Chaplain. Gunner Alan Haydon died by drowning whilst at Achnacarry. Also recorded as dying by drowning on this date and serving at the same location were Private McCarthy and Corporal Turner. Signalman Alexander Howie, No. 1 Independent Company, died during operations in Norway as part of Scissors Force. Marine John Hughes, HQ 4 Special Service Bde., died during operations at Walcheren. Guardsman William Hughes was found dead at 3pm on October 27th 1942 in Loch Lochy at Bunarkaig, 25 yards West of the boathouse. He was last seen alive on the 4th October 1942. His death is recorded as by drowning and he was seen after death by Capt. J.E. 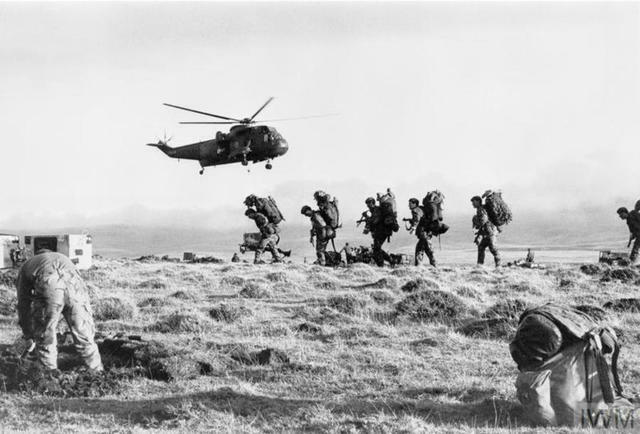 Symondson, the Medical Officer at the Commando Depot, and the informant was an officer from the Commando Depot, Achnacarry. 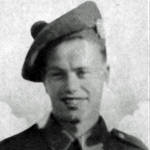 Lieutenant Herbert Johnson died of illness at the Military Hospital, Buchanan, Stirling at 3.45 am on the 17th March 1944. The Register of Deaths records the cause of death as "chronic interstitial nephritis". His profession is shown as "(Detective Sergeant, Police Force) Lieutenant KOY Light Infantry (att. Commandos)". Lieutenant William Layman, SA Forces attached to 4 Special Service Bde., died during operations at Walcheren. 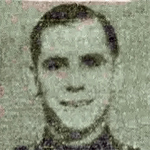 Private Archibald Lees, a former Police Constable from Lancashire, drowned in Loch Lochy during training. He was seen after death by Capt. J.E. Symondson RAMC, Medical Officer at the Commando Basic Training Centre. An article in the Lancaster Guardian reported that he was one of the Police intakes to the Commandos entering military service in July 1942. The 2nd Police Intake to the Commandos consisting of 273 men attended the Commando Basic Training Centre for their Commando training from 23rd July 1942 until 23rd September 1942. Marine Frank Lyons died of gunshot wounds and shock at The Military Hospital, Onich, near Fort William, believed to be located at the time in the grounds of Alltshellach House. His death occurred during an operation to treat the injuries to his left leg and right foot. The Register of Deaths records his unit as "RM Commando's." Private Alexander Martin, 1st Bn. Gloucester Regt. was reported missing in action on the 17th May 1942 and believed to be a prisoner of war. He died In November whilst still a prisoner of war. Private Robert Martin, No. 4 Independent Company, was accidentally shot and killed returning from the British Expedition to Norway. His Company were part of Scissors Force. Private Alexander Matson, No. 1 Independent Company, died during operations in Norway as part of Scissors Force. 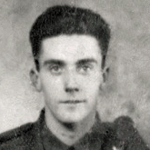 Private Patrick McCarthy, aged 18, died by drowning whilst at Achnacarry. Lieutenant Gordon McKenzie, SA Forces attached to 4 Special Service Bde., died during operations at Walcheren. Lance Corporal George McClean was killed in an explosion at the Commando Depot, Achnacarry, Spean Bridge. His status at the Commando Depot as staff or trainee is yet to be established. Sapper William Moores, No. 1 Independent Company, died during operations in Norway as part of Scissors Force. Private Robert O'Neill, No. 1 Independent Company, died during operations in Norway as part of Scissors Force. Mne. Porter, HQ 4 Special Service Bde., was killed during operations at Normandy on D Day. Captain William Pritchard MC died during the raid at St Nazaire. 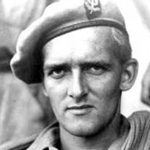 He was one of the commando contingent on ML 457. 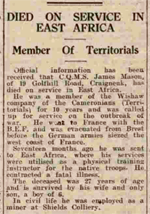 Fusilier James Scullion, aged 18, died whilst at Achnacarry. He was last seen alive on the 28th November 1941. His body was found at 3.30pm on the 2nd June 1942 on the foreshore of Loch Eil, opposite Kilmallie Houses, Corpach. Cause of death was declared as drowning. The informant is recorded as the Commanding Officer, Commando Depot Achnacarry. Captain Andrew Smith, formerly a civil engineer, died of a gunshot wound at STC Lochailort. The informant on the Register of Deaths was Major Hodges, Medical Officer STC Lochailort. Mne Stockwell, 3 Cdo Bde Signal Troop, was killed during operations at Kangaw. In the Third Jungle Book Issue 9 page 57 at the end of an article on the Brigade Signal Troop (BST) the following is written, "To complete this story of the B.S.T. it is well to remember the BEM and three MiD's that have been awarded the troop, and to deplore the loss in action of an old member - Jack Stockwell. To his wife go the troop's deepest sympathy and sincerest wishes for the future." Private Charles Sweeney drowned at Mucomir, Gairlochy, whilst serving at Achnacarry. A newspaper report shows that he died along with another soldier, Pte Kenneth Drysdale, whilst fishing from a boat with 15 yr old John McKay, the son of a local water baliff from Kilmonivaig. The report states that it appears they lost an oar whilst manoeuvring the boat into a suitable spot near Mucomir Falls on the River Lochy and got carried away into the swirling water. Sapper Lewis Thomas, No. 2 Independent Company, died during operations in Norway as part of Scissors Force. The circumstances of how Captain Reginald Turner-Hughes, No 3 Special Service (SS) Batallion (Bn), met his death are not known to this archive. Lance Corporal Douglas Vincent, No. 2 Independent Company, died during operations in Norway as part of Scissors Force. Private Frederick Welch died at the Military Hospital, Onich, of multiple gunshot wounds. His occupation is shown as Policeman on the Death Register.